It was named for Robert Mable, who on September 11, 1843, bought 300 acres (approximately 120 hectares or 1.2 km²) of land. The Southern Railway opened a railroad station in Mableton in December 1881, and on June 28, 1882, the post office opened replacing the Bryantville post office about two miles (3 km) southeast. On August 19, 1912, Mableton was incorporated as a town but was disincorporated on August 17, 1916. The historic Mable House and plantation, located off U.S. 78 on Floyd Road just north of Clay Road, now includes an amphitheatre which hosts public events. 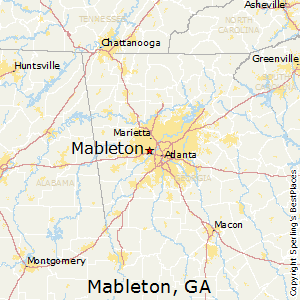 Mableton is located at 33°48′48″N 84°34′18″W (33.813355, -84.571691). In the CDP, the population was spread out with 26.0% under the age of 18, 8.4% from 18 to 24, 34.4% from 25 to 44, 21.2% from 45 to 64, and 9.9% who were 65 years of age or older. The median age was 35 years. For every 100 females there were 95.9 males. For every 100 females age 18 and over, there were 93.2 males. The Georgia Japanese Language School (GJLS; ジョージア日本語学校 Jōjia Nihongo Gakkō), a part-time supplementary Japanese school, holds its classes at the Lindley 6th Grade Academy in Mableton; Lindley used to be the W. H. Barnes Education Center. The GJLA opened with nine students in 1974 at Oglethorpe University, serving grades 1 through 9. The school moved to W.H. Barnes in 2002. 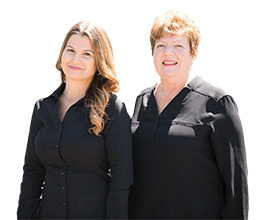 Whitefield Academy offers the highest SAT average in the county.